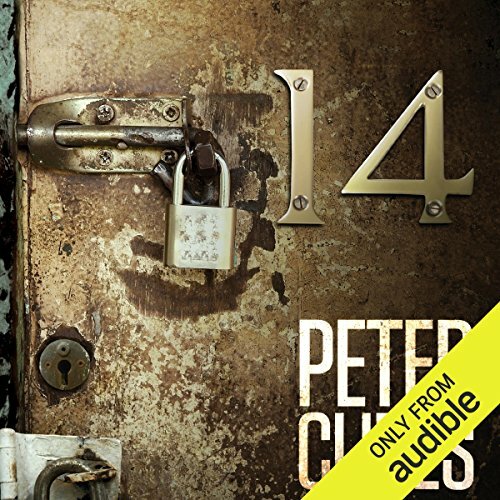 ©2012 Peter Clines and Permuted Press (P)2012 Audible, Inc. The blurb on this one didn't really appeal, so it was with hesitation that I bought it. So glad I took the plunge. I can see why another reviewer may not have liked the last quarter of the story.....but on balance, it didn't detract sufficiently from the rest of the story to warrant a lower rating. This was a great listen. The quiet dread starts to build from the opening scene, and keeps building (intentional excessive use of "building"), despite the light-hearted tone of the characters. On balance, this is book is good entertainment. It's not possible to say anything else about the plot without giving too much away. I knew it was sci-fi, but I had no inkling of what was coming for at least 3/4 of the book. It kept me listening into the small hours more than once.....so much for getting a good night's sleep courtesy of the building (not a spoiler of consequence!). Now I know why the editor's intro says what it does....but it doesn't really give much of a clue. 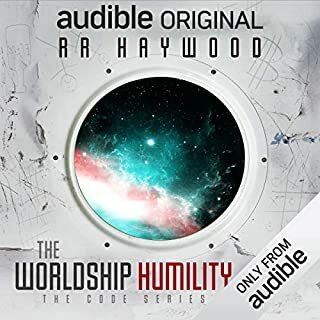 Not surprising that Audible.com selected this as its best sci-fi novel of 2012 - just sorry I took so long to listen to it. I didn't know what to expect with this one, I got it because I really enjoyed clines other creations. But I quickly fell in love with the whole story, you get to know each and every character and the twists are great. 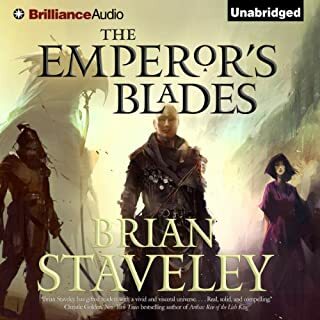 It is hard to review without giving anything away, alls I can say is very enjoyable and really well narrated to the point where you can easily pick out each character by the narration. It's locked for a reason!!!! 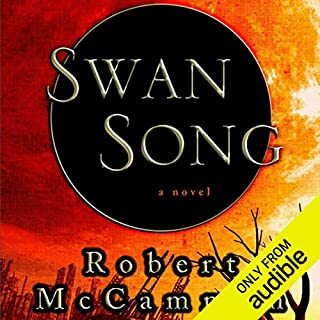 It's been a while since I got totally immersed in an audiobook. This didn't really stand out to me, I only got it as it was in the sale, but I'm glad I did! Nate works as a temp, going nowhere with no cash, so when cheap digs are offered he grabs them. Once he moves in, he starts to meet his neighbours and they soon realise that not one room in the whole building is structurally the same. Not only that, the building doesn't appear to be attached to the power grid and nobody's heard of the landlord. I can't go into too much without spoiling it, but needless to say the atmosphere when they go past the basement and into room 14 is so tense you'll need to put the light on! 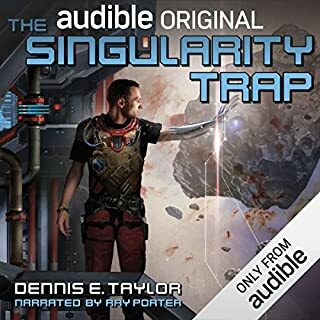 This book is one of my favourite books from Audible since I first got my iPad Mini 2 years ago. I am not sure why, it leans a little too much on the fantasy side of Sci-Fi. 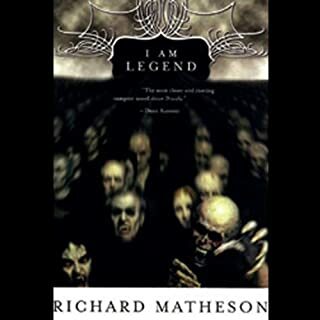 I am not really into Lovecraft horror/monster type normally but 14 is written with such gritty, ordinary, day to day characters, so well developed that it is very believable. And extremely intriguing and very thrilling. It has a "Lost" kind of feeling. However, I don't mean that literally; Lost became so drawn out and complicated that I got totally bored and lost interest in any of the increasingly unbelievable characters after the first season. This book kept my interest as the puzzles unfolded and the characters developed. Ray Porter, The guy who reads it, is wonderful, not too much accent or gender changes, and helps to give credence to the characters. So, when it started to go off into the horror side I was too hooked to let it really bother me. It all fits together well in the end and I have listened to it over and over. It is weird, I bought one of his other books immediately because I enjoyed 14 so much but, sadly I did not like it at all. 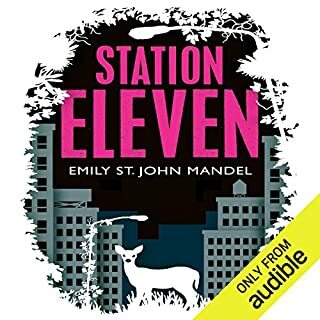 But for me 14 remains up there with Solaris, which is a much deeper, more psychological story, (equally well read) and The Martian; which I don't think is as well written but also a really exciting, well read book. It's impossible to put into words without giving massive spoilers, but the characters in this book have much more depth and realism about them than pretty much any other book I have ever read. I found myself sharing all their emotions, and rather than guessing the ending, was anxious to find out what they were leading to. This book is so well written, it's truly edge of your seat stuff. Ray Porter's performance is fantastic. A couple of the accents may have been a little ropey, but he still managed to make them believable, even his women had the correct balance of strength and fragility that so many actors tend to get so wrong. His pace is perfect, and his acting highlights all the humor and / or tension that each scene requires. I'll definitely be on the lookout for more of his narration. I could've lost a whole weekend to this book. I was due to take a coach journey when I was about a third of the way through it, and decided to listen to more of it rather than my music. On the way home again I was pretty tired, and thought I would continue with the book, maybe have a doze on my way home...no chance. By the time my journey ended I was LITERALLY on the edge of my seat. The girl next to me must have thought I was crazy with all the fidgeting I was doing as events unfolded in my ears. By the time I actually got home, the story had become so intense that I was glad my other half was back from work so I didn't have to sit in the house on my own while I listened to the end. I've been chewing all my friends ears off (figuratively) to try and get them to listen to or read this book. If you give it a chance, I promise you will too. Pretty much jumped straight into my top five favourite books and gives Neil Gaiman a damn good run for his money. One of my favourite science fiction writers. A brilliant tale. Imaginative and engaging! The images come to life and the characters suspend all of my disbelief. 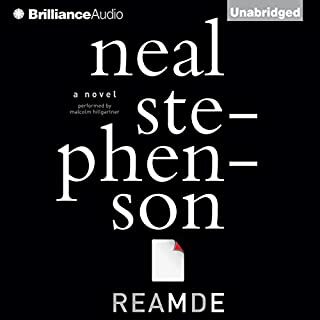 Excellent narration despite my aversion against American accented narration. 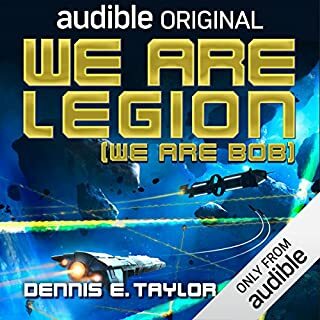 Finally - A fantastic narrator! 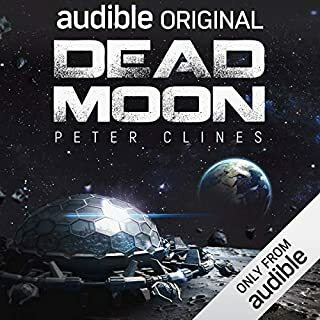 I've had some hit and miss luck with narrators and was about to give up on audiobooks altogether...... Luckily I tried this book! This guy was spot on! Every character had a unique accent and didn't distract from the story... even the female voices! 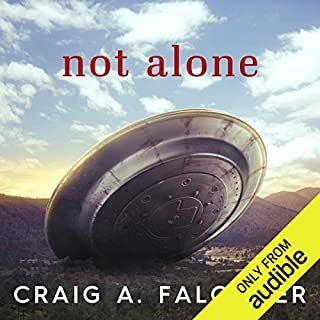 I hope all future audible books have top narrators like this one. Story - great story & not too long winded - snappy story telling. Fans of 'Fringe' would like this. What did you like most about 14? Fresh believable characters, incidental love interests that didn't detract from the story in any way! Unpredictable twists and turns, appealed to me (at 60) and my daughter (at 24) test of a good story. Different to my usual read but I'm really glad I took a chance and listened. Easy to follow without being boring, unusual concept but believable, even the weird bits! What other book might you compare 14 to, and why? Can't compare it to anything really, all new and very enjoyable! Veek is very cool (not sure if that's how to spell it) she has a wicked sense of humour, Zeela is also pretty cool. Both - I found my jaw clenching in parts, shouted out loud in the car a few times, couldn't wait to get out of work to start listening again! Buy it if you like a good story, fantasy, suspense and laughing! This was an odd one for me, I really enjoyed the first 8 hours of the story a lot but the last 4 hours not so much. That's not to say the last 4 hours are terrible or anything - its fine, but its almost like a different storyline somehow. 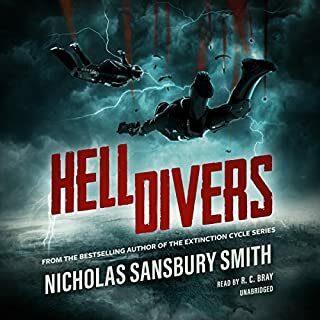 Hard to explain without spoilers really, but for me the writer had the first part of the story done really well, and the latter part not so well - but it was an interesting story well told, just seemed to go a bit odd towards the end. 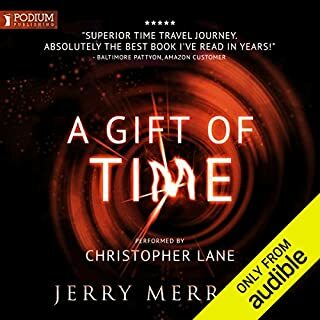 I purchased this audiobook based on the glowing reviews. I seem to be in the minority, but I did not really enjoy the novel. 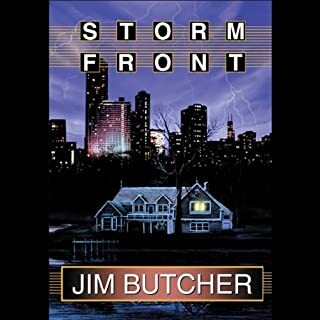 The core premise of the book is intriguing: A man moves into an apartment complex and soon starts noticing something strange is going on. While investigating, he builds relationships with his neighbors and together they work to solve the mysteries of their building. I was hooked by the central mystery, and stuck with the book entirely because I wanted answers. 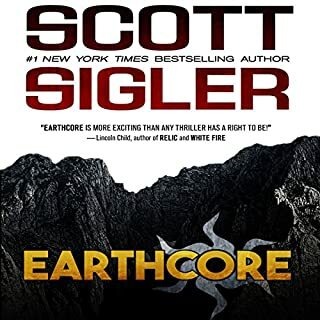 The book delivers those, and went in unexpected directions, but the author's writing style kept me from enjoying the book. The pacing throughout the first half was incredibly slow, which would have been fine if the characters were interesting, but I never cared for any of them. As such even though the stakes were raised and crazy things were happening throughout the big, I was never invested in any of it. 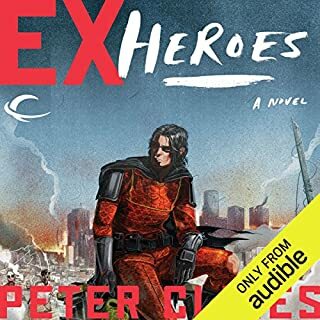 I had tried to read Peter Clines' previous book 'Ex-Heroes' and quit after the first hour because I really didn't care for the dialogue or the characters. If you liked that book, or if the other reviews posted here make the book sound great, by all means give it a shot. It definitely wasn't for me though. I wanted to like this book. 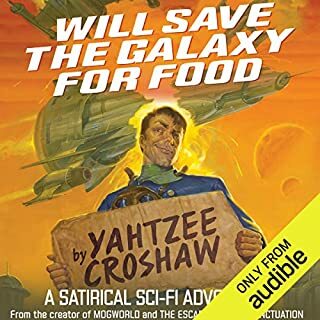 Great Narration, ticked all of my SciFi and Horror genre boxes, but the main characters consistently did exceptionally stupid things for such supposedly smart people. It drove me nuts. The story plot line itself was fresh and interesting, I loved the concept. I don't know what would be needed to fix it, I just know that it seems like a really good editor could have helped to fix some of the issues with driving the plot forward. If you like supernatural ridiculous talking monsters, you will like this. Otherwise, don’t waste your time. On the positive side, narrator was good. Good start, then turned into a different story. I was hoping to find a creepy/suspenseful story that wasn't cheesy. This lured me in with what seemed like a good plot, then took a sharp left into (what I deemed to be) a completely different story. Without trying to spoil anything, I'll just say it began like a good mystery/ghost story and ended like a cheesy sci-fi one. For those who are into sci-fi, this might be more interesting. However, for those expecting something scary - even mildly creepy - this is not the book for you. I was looking forward to this book because the previews sounded so interesting. I was really enjoying it until the end. The mystery was awesome but how it turned out was so disappointing!!! What disappointed you about 14? Oh, where to begin. It started out pretty interesting with so many possible plot directions. The dialogue was cheesy but I can live with that. Suddenly, and without warning, the book began to read like a 15 year-old's fan-fiction. The ending was so dumb I that I sat listening in disbelief, seriously, I was a doe in headlights. Has 14 turned you off from other books in this genre? Yes, I will definately avoid going to fan-fiction forums. 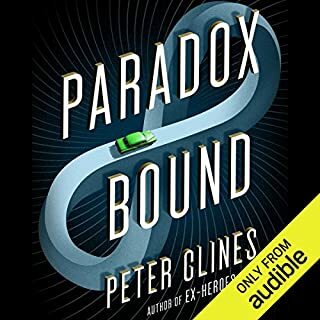 What was most disappointing about Peter Clines’s story? Took too long to get anywhere and it was only curiosity that kept me listening due to my dont quit attitude. I know it's fiction but c'Mon, this was unbelievable, even to the most imaginary mind. Would you be willing to try another one of Ray Porter’s performances? I wish the book would have taken off sooner... 2 hours left of the audio before any real action began. And then it still was a quick climax and ending. I liked the characters in this book and it seemed okay for the first half. At some point this book went berserk and became WAY too Sci Fi for my taste. Just not my cup of tea and gave up somewhere in the second half. What did you like best about 14? What did you like least? This book has a very good beginning, it grabs you and runs for about half the book. Then it starts to become tedious and I tried to finish but just reached a point where I didn't care what happens to this group. Could you see 14 being made into a movie or a TV series? Who should the stars be? The story line is easy to get caught up in, but very quickly the characters become predictable and not necessarily likable. There are way too many times where I asked myself would I do this or could I do this, to many places where the fantasy becomes just a bit to fantastical, how can a person hang onto a doorframe and not be sucked out into space? among others. This group of "friends" make amazing discoveries that could destroy the planet, do they ever stop and say hey maybe this is out of our league and we shouldn't turn this knob? No. The cartoon reference is apt, they are saturday morning kids tv. 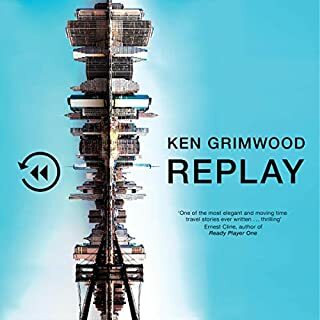 Maybe this book ends well but I frankly just couldn't get myself there, I even tried speeding up the rate of the playback but just didn't care enough to finish.